From waitress to movie star; housing projects to billion dollar estates; bankruptcy to overflowing accounts – learn why some people rise from frustration and gloom to realizing extreme joy and abundance far beyond their wildest dreams. In Never in Your Wildest Dreams, Natalie Ledwell takes you on a voyeuristic journey of Katherine Murray, who moves from extreme debt, depression and despair to superstar award-winning screenwriter status in record time. 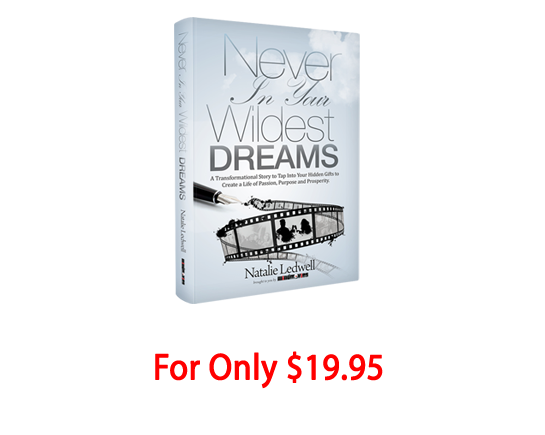 This enthralling book reveals the exact steps, inspired by Natalie’s own quest for success, to achieving any goal you set or have never even dreamed of yet. This unique Interactive System not only tells a captivating, awe-inspiring story, but it also provides everything you need to transform your own dreams into reality. Included in the book is a backstage pass to each chapter with videos from Natalie, herself. Many would pay thousands of dollars for Natalie’s secrets and insights that are exposed throughout the book, but it’s all integrated here in one riveting legend. 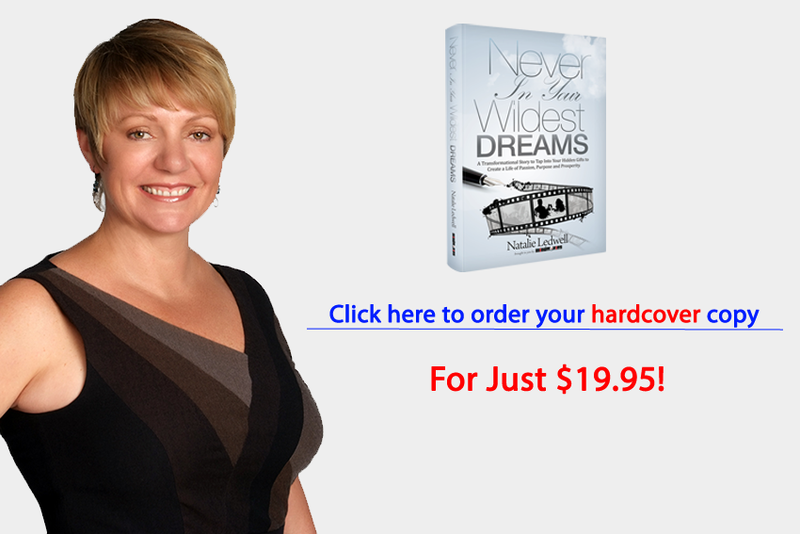 Between the spellbinding story, the life-altering secrets to success, and the immediate impact it will have on your life, you will quickly find yourself addicted to Natalie’s words as you return to this book as a life resource again and again. Like any hero’s journey, Katherine must slay her dragons in order to find her treasures. She learns the secrets of the universe that embark her on a transformation that is not only exhilarating, but incredibly poignant. Imagine everything you write turning into reality... Can it really happen? Based on her own experiences, Natalie reveals the power of thinking and writing as we see the movie scenes Katherine creates in her mind, show up as actual events in her life. From a life full of money problems, relationship struggles, and the desperate yearning for happiness that anyone can relate to, Natalie exquisitely tells the story of one woman’s path to becoming a first-time, award-winning screenwriter on her very first screenplay that was written in just one week. There is no luck involved. It doesn’t have to happen to just a few. Astonishing success can happen to anyone if you just follow these secrets and insights. Join Natalie in this revolutionary tale that not only entertains and has you gripping to your seat with each page, but will program you with everything you need to achieve the same success beyond your own wildest dreams.